Dr. Lee Schwamm is Professor of Neurology at Harvard Medical School, Executive Vice Chairman of Neurology and Director of the Stroke Service, and Medical Director of TeleHealth Programs at the Massachusetts General Hospital, where he holds the C. Miller Fisher Chair. He directs the Partners National TeleStroke Network, which provides acute stroke services to 60 rural and community hospitals in 8 states. 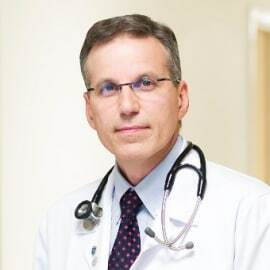 He founded and leads the Get With the Guidelines-Stroke Registry, and provides guidance on healthcare accreditation, stroke center certification and stroke systems of care to the Massachusetts Dept of Public Health, CDC Coverdell Stroke Registry, and the Joint Commission.